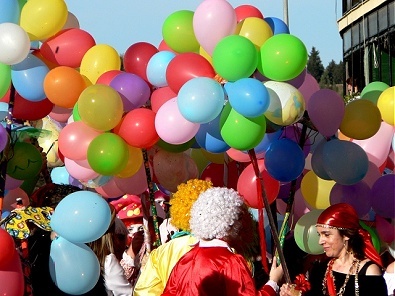 The carnival fills with colour and original costumes the streets of Badajoz. 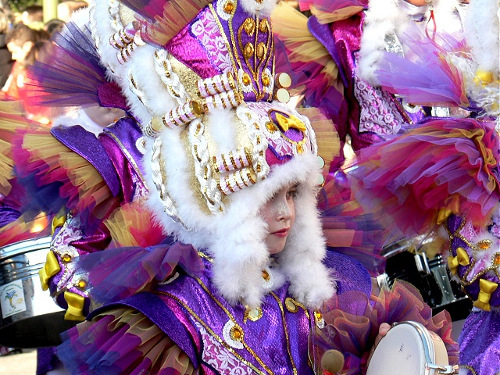 This is one of the most important and well-known carnivals in Spain. Several months before February, many groups meet to design and confectionate the costumes they will wear in the Contest. At the same time street bands rehearse the satiric lyrics in the Street Bands Contest, in Lopez de Ayala Theatre of Badajoz. Nevertheless, the real esence of the Carnival is in the street. The inhabitants of Badajoz and the visitors from all over the country make good use of basic clothes to create incredible and funny characters, these make more amusing the celebration. 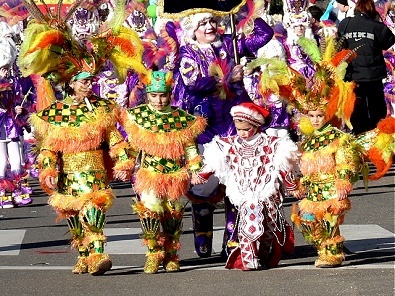 The whole city quiver with the carnival, and historical streets as well as main avenues are taken by the people. 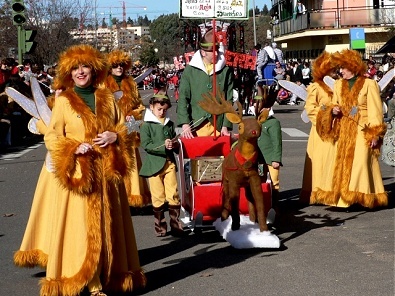 On Sunday the well-known Group Parade takes place. Not only groups from Badajoz but from all the province are invited to participate in it. They show colourful and orginal costumes completed with choreographies and drumms music. On Monday inhabitants and visitors go back to the streets to live the last night, until the Tuesday morning, when the sardine is buried. It is a festival that marks the begining of Lent. A puppet that represents a sardine is burned, this is the end until next year: by this original representation, people say goodbye to this special feast, full of excitment, cheerfulness and optimism.